The Krisis Rogallo incorporates an innovative system allowing it to behave like a hemispherical parachute during the initial phase after opening, descending vertically in a stable manner with very little forward speed. Thus in the case of a very low deployment the pilot only has to think about landing correctly (parachute landing fall), without having to worry about eventual complications. NB: The Krisis Rogallo 130 is a High Adventure Beamer 2, made by High Adventure, rebranded by Kortel Design. The Krisis Rogallo completes our range of light technical reserve parachutes. Until now Rogallo parachutes have always been heavy and bulky and the fact that they glide immediately after opening limited, in our opinion, their suitability for cross country pilots (severe risk of mirror effect, risk of being on a collision course with an obstacle if the pilot does not immediately steer the parachute). The Krisis Rogallo incorporates an innovative system allowing it to behave like a hemispherical parachute during the initial phase after opening, descending vertically in a stable manner with very little forward speed. Thus in the case of a very low deployment the pilot only has to think about landing correctly (parachute landing fall), without having to worry about eventual complications. This safety enhancing feature is only possible due to the large surface area of the Krisis Rogallo. In the case of a deployment at higher altitude the pilot can, in a second phase, take control of the brakes and benefit from the incomparable glide ratio and sink rate of the parachute which give it an undeniable safety advantage over a hemispherical parachute. The Krisis Rogallo weighs just under 2kg including the inner container for a surface of 42m². We have chosen only the best materials and thanks to a light fabric that is both strong enough and highly durable, as well as a new type of suspension line, the weight and volume are very low despite a surface area of 42m². Different brake positions allow the Krisis Rogallo to be optimally installed whether attached at the shoulder level or to the main karabiners. The direct effect of the brakes allows turning practically on the spot. The specific construction of the risers improves stability when the pilot is in an asymmetric position (in the case of a riser twist for example). Four leaf inner container with additional safety equipment. Thanks to its particular shape and specific packing method the Krisis Rogallo opens up to 50% faster than a standard round parachute. The specific packing technique renders cravats practically impossible. A new feature is the fully braked configuration of the canopy upon opening which greatly reduces the horizontal displacement. This corresponds to the wish of many pilots to benefit from the advantages of a round parachute which descends vertically combined with those of a Rogallo which can glide and is steerable. When opened near a rock face for example the Krisis Rogallo descends almost vertically. The canopy only starts to glide forward once the pilot takes control of the brakes. The deployment of the Krisis Rogallo is the same as that of a normal reserve parachute (pull and throw). It slowly moves forward and can be steered with the two brakes even if the paraglider remains attached: this slow horizontal airspeed reduces the loading on the paraglider allowing it to be B-stalled with only one hand. The other hand can thus be used to steer the parachute. If a quick release system is used to release the paraglider the Krisis Rogallo can be used to its maximum effect: the glide ratio is doubled for a slight increase in the sink rate. The Krisis Rogallo can be installed in a front-mounted container (like the Kontainer size L for example) or in the integrated container of a harness. The parachute is either attached to the main karabiners (front-mounted container) or at shoulder level for containers that are integrated into the harness. Warning: In order for the parachute to be attached at shoulder level the harness must be pre-equipped with specific attachment points for this purpose. Do I have to release my paraglider when I open the reserve? No, the reserve can be steered without any problem. A complicated release system is not absolutely necessary. After opening how does the Krisis Rogallo behave without pilot input? Even if the pilot remains passive the Krisis Rogallo functions normally. It moves forward at only a very low speed and will not be destabilized by a paraglider that is in a strong spiral. Can I steer my Rogallo reserve parachute without releasing my paraglider? Yes. Thanks to the reduced horizontal speed load on the paraglider is reduced and it can easily be neutralised by a B-stall with one hand allowing the reserve to be steered with the other hand. If there is enough altitude the pilot can even pull in and bundle up the paraglider. What happens if the parachute and the paraglider become tangled? In this extreme situation the Krisis Rogallo acts like a standard round parachute. With the advantage that it opens more quickly and due to its large surface area the descent is slower and more stable. Is the Krisis Rogallo more complicated to pack than a standard round parachute? The packing procedure is different but not more complicated. As Rogallo reserves are becoming more popular there are more and more qualified packers. Can I use the Krisis Rogallo with a low all-up weight? Even with a very light load the in flight characteristics and manoeuvrability remain the same, the forward speed and sink rate are lower than with a heavier pilot. The rapid opening time of the Krisis Rogallo easily competes with that of a small sized standard round parachute. We have made a deliberate choice to avoid using cheap ultra light materials. 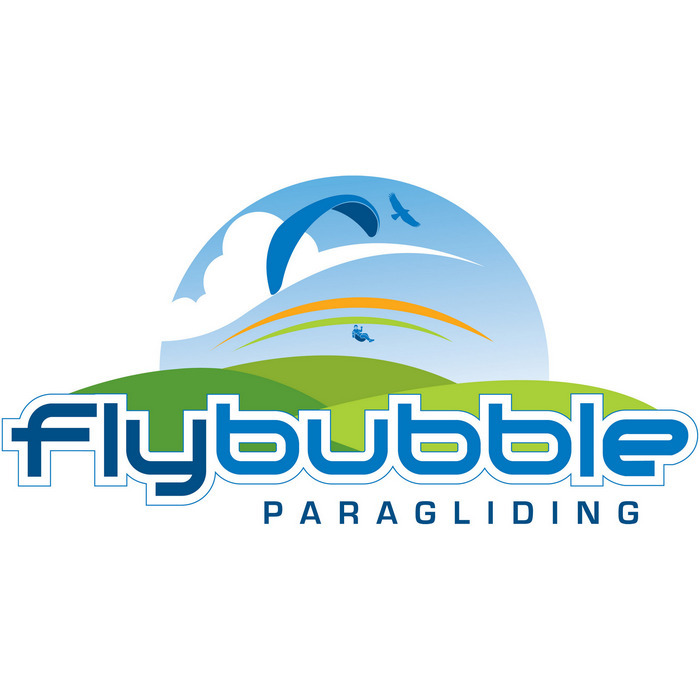 The materials used for the canopy and lines are of a very high quality and durability and have proved themselves in their use in skydiving equipment. The Krisis Rogallo can be used in SIV courses over water.